Rita completed her medical training from the University of Sydney in 1999. She completed her advanced surgical training in Gosford and Newcastle rotation in 2008. She undertook a year of surgical oncology fellowship to further her special interests in management of breast cancer, thyroid cancer, melanoma and sarcoma in Prince of Wales Hospital, Sydney in 2009. She returned to the Central Coast in 2010 as consultant surgeon. She has admitting rights in all five public and private hospitals on the Central Coast. She also has an appointment with Breast Screen, Australia. Since she started her consultancy, she continued to further her own education and skills in terms of breast and thyroid surgery. She went abroad to attend hands-on Level 1 oncoplastic breast surgery course in Royal College of Surgeons England, the oncoplastic masterclass held by European School of Surgery in Paris as well as oncologic and reconstructive live surgery course in European Institute of Oncology in Milan. Locally, she attended the biannual post graduate endocrine course in Brisbane. 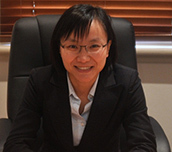 Rita is a one of founding members of BreastSurg ANZ, as well as a member of General Surgeon Australia. She continues to maintain high level of care of her breast cancer patients, above and beyond the national standards, by contributing to the National Breast Cancer Audit. She is actively involves in education of medical students from University of Newcastle, residents and registrars who are on rotations in Gosford Hospital. She is the supervisor of the surgical SRMOs/unaccredited registrars and the clinical champion for the DETECT training within Central Coast Local Health Services.